The backflush assembly for the Blichmann Therminator is the perfect way to keep the inside of your Therminator free from any organic material that might get caught in the unit during use. 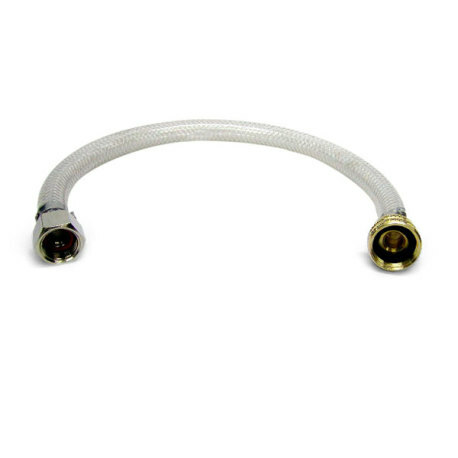 It is an 18" length of 1/2" ID hose with garden hose thread and 1/2" quick connector on the ends. This assembly makes it easy to backflush your Therminator, thus keeping it clean. Highly recommended, as otherwise you can spend a great deal of time hooking up and disconnecting hoses for backflushing. Why make things harder than they need to be? Go simple, go with the Therminator's backflush assembly!